The cornerstone was laid for Tycho Brahe's Uraniborg observatory. The first known ascent in a hot-air balloon, by Bartolomeu de Gusmao, took place, indoors. Comet C/1864 N1 (Tempel) approached within 0.0964 AUs of Earth (approx. 8.9 million miles, 14 million km). Paul Adrien Maurice Dirac, (8 August 1902 - 20 October 1984) was a British theoretical physicist and a founder of the field of quantum physics. Dirac studied electrical engineering at the University of Bristol, completing his degree in 1921. After working briefly as an engineer, Dirac decided that his true calling lay in the mathematical sciences. He completed a degree in mathematics at Bristol in 1923 and then received a grant to conduct research at St. John's College, Cambridge, where he would remain for most of his career. At Cambridge he became interested in the general theory of relativity and in the nascent field of quantum physics, and worked under the supervision of Ralph Fowler. In 1926 he developed a version of quantum mechanics that incorporated the previous work of Werner Heisenberg on "Matrix Mechanics" and of Erwin Schrodinger on "Wave Mechanics" into a single mathematical formalism that associates measurable quantities with operators acting on the Hilbert space of vectors that describe the state of a physical system. For this seminal work he was awarded a Ph.D. from Cambridge. In 1928, building on Pauli's work on nonrelativistic spin systems, he derived the Dirac equation, a relativistic equation describing the electron. This work led Dirac to predict the existence of the positron, the electron's antiparticle, which he interpreted in terms of what came to be called the Dirac sea. The positron was subsequently observed by Carl Anderson in 1932. Dirac also contributed to explaining the origin of quantum spin as a relativistic phenomenon. A. Kopff discovered asteroid #3105. A. Kopff discovered asteroid #684 Hildburg. K. Reinmuth discovered asteroid #956 Elisa. S. Belyavskij discovered asteroid #1001 Gaussia. 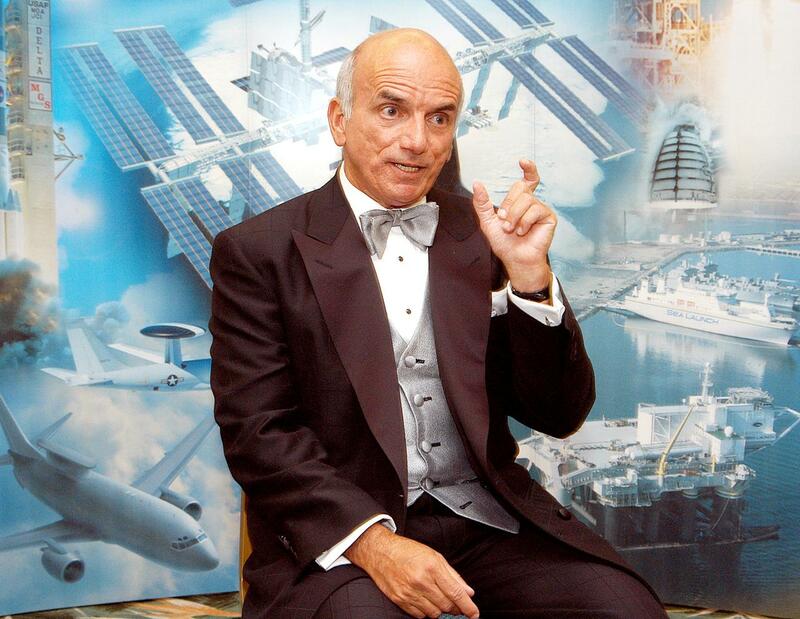 P. Parchomenko discovered asteroid #1129 Neujmina. H. Van Gent discovered asteroid #1946. K. Reinmuth discovered asteroid #1256 Normannia, #1257 Mora, #1258 Sicilia and #1273 Helma. Soviet cosmonaut Svetlana Yevgenyevna Savitskaya (8 August 1948 - ) was the first woman to walk in space, on 25 July 1984, aboard the Soyuz T-12 (launched 17 July 1984). Her spacewalk lasted 3.58 hours. 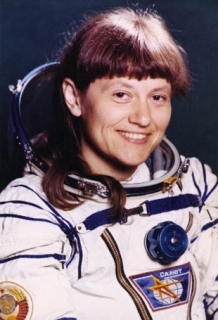 Savitskaya was also the second woman to go into space (aboard Soyuz T-7, launched 19 August 1982), and the first woman to go to space twice (1982 and 1984). NASA and the USAF launched X-15A Heating, aero drag Test mission # 66 in which Robert Rushworth reached a maximum speed of 4736 kph (Mach 4.40), and attained a maximum altitude of 27.699 km. A Scout B rocket launched from Vandenberg, California, carried 2 satellites to orbit, Explorer 39 (Air Density Explorer) to collect atmospheric density and temperature data, and Explorer 40 (Injun Explorer) to collect radiation data. The USSR Salyut 5 research laboratory was de-orbited and destroyed during re-entry into the Earth's atmosphere. N. Chernykh discovered asteroids #2431 Skovoroda, #2626 Belnika, #2627 Churyumov, #2794 Kulik, #2916 Voronveliya, #3027 Shavarsh, #3195 and #3599. NASA launched Pioneer 13 (Pioneer Venus 2) from Cape Canaveral, Florida, towards its 9 December 1978 rendesvous with Venus. Pioneer 13, the Pioneer Venus Multiprobe mission, was launched 8 August 1978. On this mission, four instrumented atmospheric entry probes were carried by the spacecraft bus to the vicinity of Venus and released for descent through the atmosphere to the planetary surface. Two small probes entered on the night side, and one small probe and the large probe entered on the day side of the planet. During the 123 day trip to Venus, the large probe was released 16 November 1978, and the three small probes on 20 November. All four probes entered the Venusian atmosphere on 9 December, followed by the bus. The large probe took 1.5 hours to descend through the atmosphere, while the three smaller probes reached the surface of the planet 75 minutes after entry. The bus portion of the spacecraft was targeted to enter the Venusian atmosphere at a shallow entry angle and transmit data to Earth until it was destroyed by the heat of atmospheric friction during its descent. Investigators emphasized the study of the structure and composition of the atmosphere down to the surface, the nature and composition of the clouds, the radiation field and energy exchange in the lower atmosphere, and local information on the atmospheric circulation pattern. 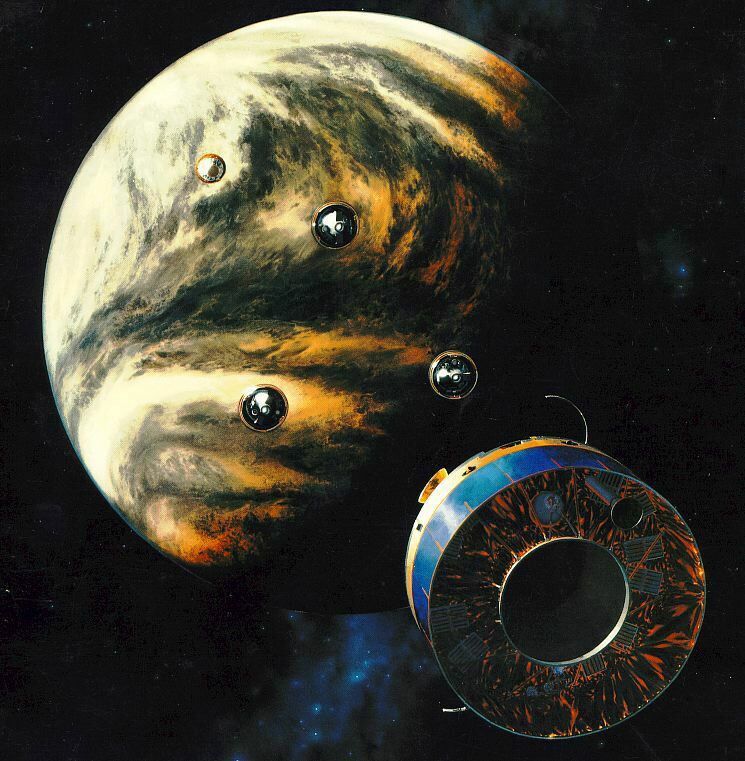 Simultaneous measurements by the probes and the Pioneer Venus Orbiter permitted relating specific local measurements to the general state of the planet and its environment as observed from orbit. The probes stopped transmitting temperature data about 15 km above the surface of Venus, but two probes survived on the surface and transmitted other data for a matter of seconds to minutes. The bus ceased transmitting data at an altitude of about 165 km. USSR launched the unmanned supply vessel Progress 3 from Baikonur for delivery of fuel, consumable materials and equipment to the Salyut 6 space station. USSR launched the unmanned supply vessel Progress 3 on 8 August 1978 for delivery of fuel, consumable materials and equipment to the Salyut 6 space station. Progress 3 docked with Salyut 6 on 9 Aug 1978 at 23:59:30 GMT, undocked on 21 Aug 1978 at 15:42:50 GMT, and was destroyed in reentry on 23 Aug 1978 at 16:45:00 GMT. Total free-flight time 4.10 days. Total docked time 11.66 days. E. Bowell discovered asteroids #2597 Arthur, #3350 Scobee, #3488 Brahic and #3559 Violamayer. E. F. Helin discovered asteroid #3737. During the 5h 00m Salyut 7 EO-3-6 EVA, cosmonauts Kizim and Solovyov repaired the Salyut 7 propulsion system fuel lines. USSR launched the Cosmos 1589 geodetic satellite from Plesetsk for investigation of the upper atmosphere and outer space. USSR launched Raduga 16 from Baikonur for telephone/telegraph communication and television broadcasting, positioned in geosynchronous orbit at 45 deg E 1985-1987; 170 deg W 1987-1988. Discovery of the most distant known galaxy (15 billion light years) was announced. NASA launched STS 28 (Columbia 8, Shuttle 30), the fourth Department of Defense (DoD) Shuttle mission. An Ariane 44LP launched from Kourou lofted into space Germany's TV Sat 2 direct broadcast satellite, initially positioned in geosynchronous orbit at 19 deg W, and Europe's Hipparcos astronomy satellite, which didn't reach GEO due to an AKM failure. The Warsaw radio mast collapsed, the tallest construction in the world at the time. NASA's STS 46 (Atlantis 12, Shuttle 49) ended after carrying the TSS-1 Tethered Satellite System to space, and deploying EURECA, the European Retrievable Carrier. An Ariane 44L launched from Kourou carried Italy's Italsat F2 and France's Telecom 2D communications satellites into space, initially positioned in geosynchronous orbit at 13 deg E and 3 deg E, respectively. NASA launched the ill-fated Genesis solar wind sample return mission. 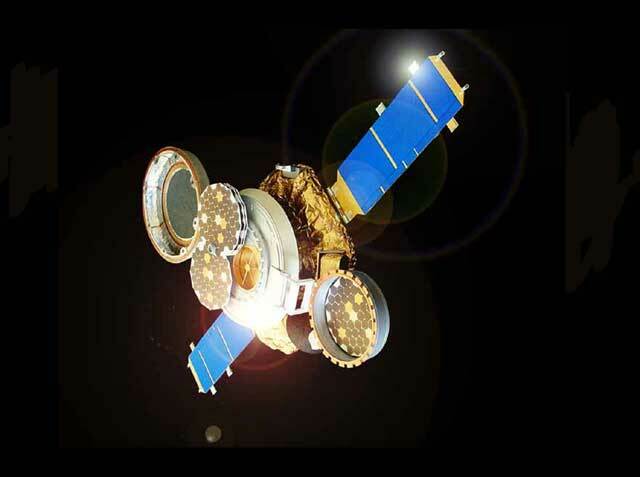 A Zenit-3SL fired from the SeaLaunch Odyssey near Kirimati carried Echostar 9 (Telstar 13) into space with a Ku and Ka band communications payload for Echostar, and a C-band payload owned by Loral Skynet. Loral called the satellite Telstar 13.